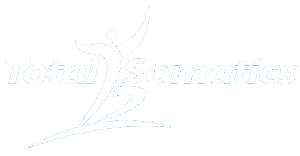 The Total Somatics Approach to Health & Wellness Online Program involves mindfulness throughout the program. In today’s blog we are going to delve into the fascinating world of neuroscience and see the link between how our brain works with Somatic Mindfulness. If you have been following my Total Somatics FREE Challenge or are planning to, you will know from the videos and material I supply how important Mindfulness is in our daily life. The fantastic labour saving devices have helped tremendously with our lifestyle, however we appear to adding more and more tasks and activities to our daily life. Then we have on demand TV and mobile devices which keep our central nervous system “wired” and constantly engaged with visual stimuli in the form of drama, violence, news reports with distressing images and interspersed with this are notifications of emails and social media during the evening. As a result of this activity, our central nervous system doesn’t switch into the ‘rest and digest’ mode. Instead our nervous system falls into the “fight or flight” stress response. When this happens, stress activity occurs on the body. The stress response stimulates the hypothalamus in the brain which sends a signal to the adrenal glands, which sit on above the kidneys. The signal triggers an area of the adrenal glands which is responsible for secreting a hormone called adrenaline (epinephrine). This circulates throughout the body at a rapid rate. This rapid surge of adrenaline throughout our body is designed for survival and self preservation. However ongoing daily stress has a detrimental effect on our mind and body. The rapid surge of adrenaline throughout our body causes our digestive system to slow down in order to allow blood supply and energy to be redirected to the muscles, which in a ‘fight or flight’ situation would help with fleeing or fighting/defending. Stress and the release of adrenaline causes an increase in energy which is in the form of glucose, plus an increase in heart rate and pupil dilation. Our body is so amazing, even the sinuses and other mucous membranes stop secreting mucus, in order for the body to be fully focused on fighting or fleeing the situation. The stress response acts like a super charged double espresso, it keeps you wide awake as the adrenaline surges through your body. This ongoing stress response is exhausting and starts to affect our sleep, perception of events - we can become reactive rather than responsive to people, facial expressions, comments and behaviour. This hyper vigilance also leads to digestive and reproductive issues due to the reduction in blood supply to these areas, due to the body staying in the ‘fight or flight’ stress response. If you haven’t already listened to the podcast about stress and anxiety with myself and Dr Sarah Wilson, check it out by CLICKING HERE. Is there anything we can do reverse this stress response? The answer is yes! A Trip Down Neuroscience Memory Lane! Many years ago before I worked within the field on Somatic Health and Wellness, I worked in the field of Neurophysiology. It was an absolutely amazing experience and exciting to be hearing all the latest research. Fast forward to now and it’s wonderful to still be involved within this brilliant area of health and wellness. It’s an exciting time as research and findings into Neuroscience has mushroomed within the last 20 years. One area which has produced large amounts of evidence within the area of neuroscience is Somatic mindfulness. Somatic Mindfulness is the tool or skill used to help reverse or reduce the stress response. Let me explain how our brain waves will alter and improve our health and well being with Somatic Mindfulness. Above are the brain waves we produce at different times throughout our day. When I worked in Neurophysiology I would often perform EEGs on patients and record the different states of consciousness and behaviours so the consultant Neurophysiologist could report on the findings. You will notice the fast brain waves of Gamma and Beta. These are seen with people who are focused and concentrating on a task, in deep conversation or have a Type A personality who are always 'on the go'. Beta can also be seen with people who experience periods of high anxiety, stress, paranoia, irritability or mind chatter. People who are taking antidepressants will often show a large amount of beta waves activity throughout their EEG recording. If you contrast this with Delta waves, these are the brain waves we have during deep sleep. It is very important to go into this stage because this is the time we rest and recuperate. Human growth hormone is released during deep sleep to allow for tissue/cell healing and regeneration. However do you notice the other brain waves between these two extremes? They are Alpha and Theta. These are the brain waves we want to promote to induce the state of ‘rest and digest’ by slowing down the central nervous system from constantly being in a the stress response mode. Have you ever experienced that stage when you are dozing off into sleep, partially noticing things around you or alternatively you are gradually rousing from sleep, starting to noticing sounds around you? This is the alpha-theta state. When we practice somatic mindfulness, we are winding down the central nervous system and allowing our brain waves to fluctuate between alpha and theta. Just as when we are drifting off to sleep or waking, when we induce the alpha-theta brain activity we are involving the conscious, preconscious and subconscious. During these moments the conscious mind allows the creative ideas to pop into our mind because it is in a state of deep reflection. The more we can induce this state, the greater improvement it will create to our daily life. It will lower our stress levels and increase positive, ‘can do’ feelings. Stress reduces the alpha-theta waves, so our focus should be to find times throughout our day to increase them. If we aim to do this we will feel happier, more focused, motivated, creative, productive and full of ‘healthy energy’, which has not been created from adrenaline secretion. How Can We Induce Alpha-Theta Waves? If you have been following The Total Somatics FREE Challenge, you will know that in Task 2 there is a Somatic Mindfulness audio to help you create alpha-theta waves. If you haven’t listened to it, CLICK HERE. Within the audio I have created binaural music which is rhythmical and patterned in sound. This stimulates alpha waves. Added to the binaural rhythm are the cues I give you. You will be encouraged to inhale deeply and exhale slowly. When we induce this action and slow our brain waves to alpha rhythm, the blood vessels within our brain dilate which increases circulation and helps lower blood pressure and mop up debris within the arteries. Have you ever seen athletes ‘in the zone?’ I remember watching Colin Jackson, Great Britain’s Olympic gold medalist for the 110m hurdles and Michael Johnson from the USA for the 400m sprint always go through their rituals back in the early 1990s. I remember vividly watching their eyes and wondering what they were doing. As the years progressed and I studied the neuroscience behind mindfulness and visualisation I realised what they were doing! Athletes work just as hard on their mental fitness as their physical fitness. They deliberately train their mind to stay calm and focused to perform at their personal best. Before a race they have rituals which include inducing a state of alpha waves in what is a highly stressed environment. When they are in alpha state their brain is receptive to visualisation. Before they take to their blocks they induce alpha with deep breaths and then visualise every hurdle or bend within the race. By the time they leave their blocks and run, their brain has rehearsed this millions of times and it serves them extremely well. Take a look at this clip of the brilliant Michael Johnson preparing for the race, notice also his power pose! He puts his hand on his hips to posture and induce a surge of testosterone to help physically and mentally with his race, as well as intimidate his competition! Notice too how his eyes change and he is fully in his zone as he trains himself to go into an alpha state and visualise his race track, about 56 seconds into the You Tube clip (excuse the quality of the video). It is interesting to see how athletes perform, however many of us won’t be competing in the Olympics any time soon! The advantage for we ‘regular humans’ to develop alpha waves also helps us age well because we reduce the amount of cortisol racing around in our body which contributes towards high levels of inflammation. Our mental health improves because we slow down the hyper vigilance and mind chatter. Our creative juices start to flow. This is when ideas can spring into our mind. Breathing becomes easier and deeper (the tell tale sign that a person is moving into theta is that they will sigh deeply). The whistle stop tour of Neuroscience with Somatic Mindfulness has hopefully allowed you to gain an insight into how we can take control of the stress response within our central nervous system. When we induce the alpha theta state, we are winding our nervous system down, plus we are increasing our focus towards the ‘rest and digest’ phase with breath work with the introduction of somatic movement. When we combine mindfulness with somatic movement, we make huge strides towards reducing pain, improving posture, increasing mobility, enhancing our quality of life and allowing us to return to the activities we love to do. So the next time you listen to The Total Somatics Mindfulness audio or you are practicing Somatic Movements within The Total Somatics Approach to Health & Wellness Online Program at www.TotalSomatics.com, you will be inducing alpha theta brain waves which will allow you to heighten your internal or somatic awareness to the sensory feedback you receive within your personal practice. This in turn will increase your mind-body connection, allowing the stress centres within your brain to shrink as you start thickening the areas of your brain responsible for focus, awareness, concentration, decision making and emotional intelligence. Would you like to reduce pain, improve posture, increase mobility, enhance your quality of life and return to the activities you love to do? If so, join me today as I teach you The Total Somatics Approach to Health and Wellness. 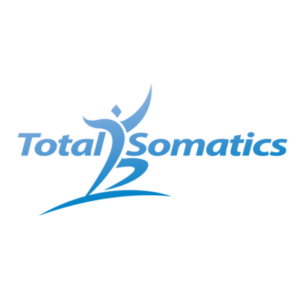 If you would like a taste of what you can experience within the program, check out The Total Somatics FREE Challenge by CLICKING HERE.